and Lilly had to come out of Kids Club early because she was crook. Liz has been in bed most of the afternoon. Dad and I spent the afternoon at the winetasting. 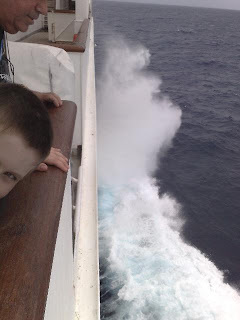 Here's a shot of the waves breaking over the bow as we head into 30 to 40 knot winds!